Well, the MIPS RS2030 isn’t really a beauty – but it slept quite a while in my basement. Actually, it’s a mediocre UNIX workstation at best… but there are many things about it, making it a special piece of my collection – and as an returning reader of GeekDot you may know I have a soft spot for those whacky things from back then… and as often with my posts, this one will be the most detailed you’ll be able to find. The RS2030 is yet another lonely system. MIPS… Even if you have just a dim knowledge about processor history, this name will ring a bell… Founded in 1982 MIPS created the first commercially available RISC CPU and until 1992, they were system manufacturers, too. 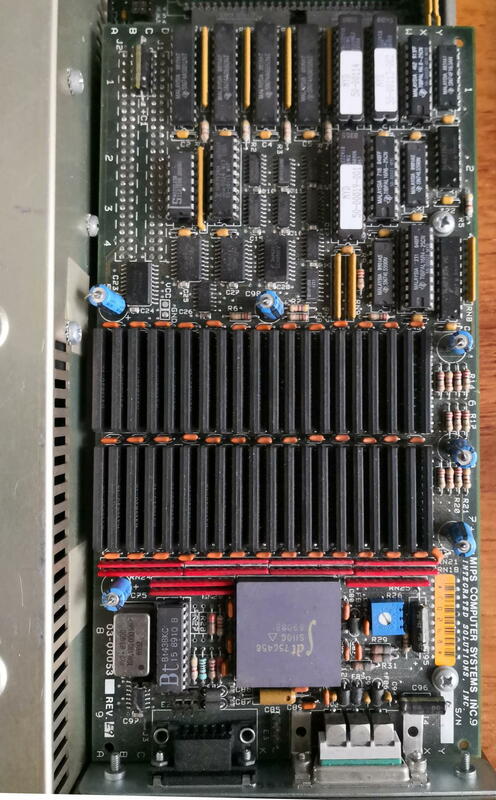 The RS2030 had many “firsts”: It was one of their first models, featuring their first CPU, the R2000, and somewhat paved their way into the market while immediately hurting MIPS’ reputation… more about that later. And last but not least, the used OS was one of the first 32-bit operating systems (1985) for RISC-based workstation-class computers. 10Mbps ethernet… that’s 10base2 or an AUI transceiver. Two RS232 ports controlled by an NEC V50. Just for the record: There was a 2nd model called RC2030, which only differed by not having the frame-buffer. It was sold as server… that’s why the put the “C” in the name. Errr, no, it’s… not… logical. So I’ll forget about this and move on. Right behind where the frame-buffer sat, above the CPU/FPU you’ll find the L2 caches and RAM slots. These are SIPP modules and the maximum supported are 16x1MB. Looking closely you’ll notice the cut cables for the 2nd fan (wasn’t me!). A small but very loud one meant to cool the RAM and most important the CPU/FPU underneath the frame-buffer. Because I currently run the RS2030 without lid, it’s OK. But after some hours it gets quite hot in that region. To the left of the power-supply (which has another very loud fan) are supposed two carriers for the hard-drive and the floppy-drive. Both were absent when I got this little beast. 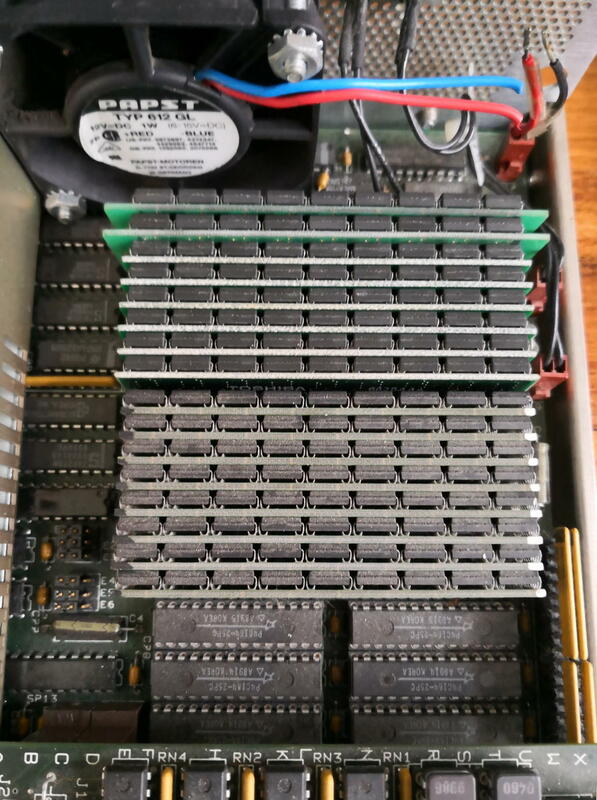 Underneath the drives are the ethernet and SCSI controllers as well as the 4 EPROMs containing the “BIOS”, aka monitor. Like all workstations back then, the RS2030 boots into a monitor, a basic software which gives you some means of setup and options to boot from HD, tape or network. More about this in the next chapter about setting things up. Keyboard (DIN), 10base2 & AUI ethernet, SCSI, one parallel, two serial connectors and on top the frame-buffer. Mind the uncommon “0W3” RGB connector. 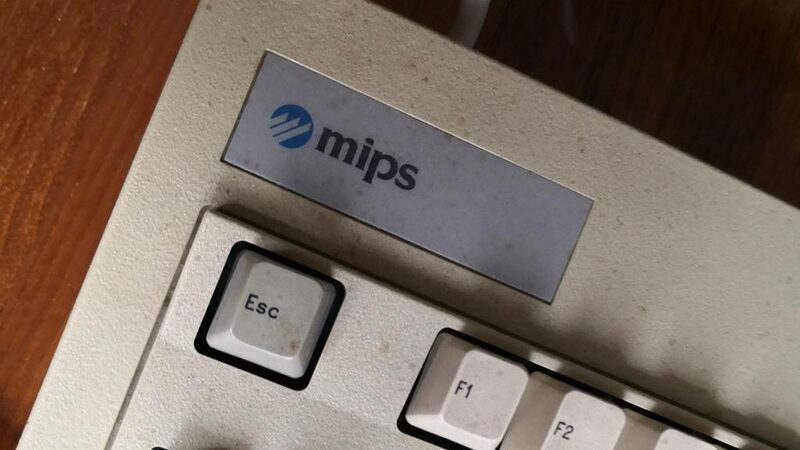 Finally, the RS2030 -like all MIPS workstations- ran a strange flavour of UNIX called UMIPS or MIPS OS or RISC/os or RISCos (not to be confused with Acorn Ltd.’s RiscOS)… all tree names/notations are used randomly across documents and mails from those times. So Googling stuff is a drag, 99% of the hits are Acorns RiscOS pages. It seems MIPS’ operating system started out as UMIPS (UnixMIPS) and settled to RISCos around 1990. As said, in 1992 MIPS gave up making computers… and was sold to Silicon Graphics (SGI). 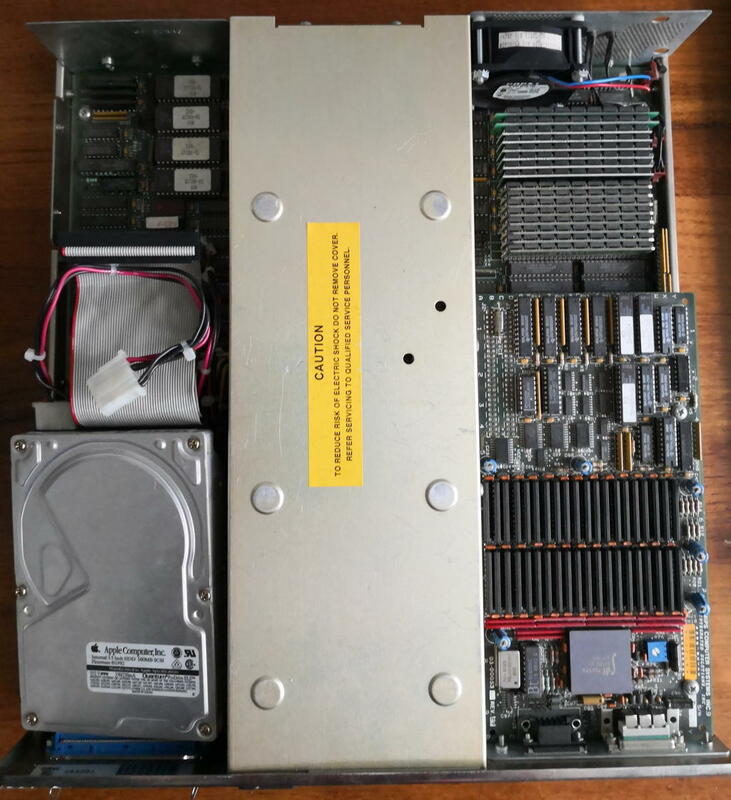 And playing around with early IRIX versions you smell RISCos all over the place – it’s definitely the mother (or father) of IRIX. RISC/os was based largely on UNIX System V with additions from 4.3BSD UNIX, ported to the MIPS architecture. It was a “dual-universe” operating system, meaning that it had separate, switchable runtime environments providing compatibility with either System V Release 3 or 4.3BSD. 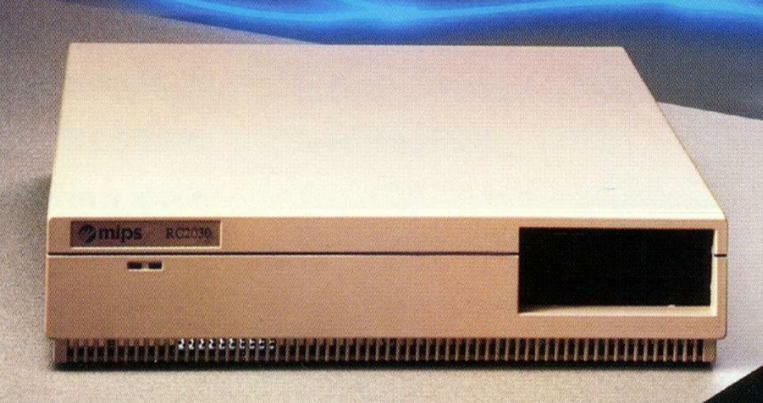 As said in the beginning, the RS2030 wasn’t quite the showpiece for MIPS. During my research I came across many disgruntled posts about this and other MIPS machine(s). that year, which would have been dramatically worse for the company. come in from terminal servers (this was subsequently modified somewhat). In addition, issues of SCSI performance did not become apparent and reproduceable from quite some time after product launch. Wow, so it was deliver something mediocre and move-on quickly to create something better. IMHO not the best way to build a good reputation. Unfortunately, computers made by MIPS Co. were ill-engineered products. They were error-prone. From my limited experiences, they easily got broken. 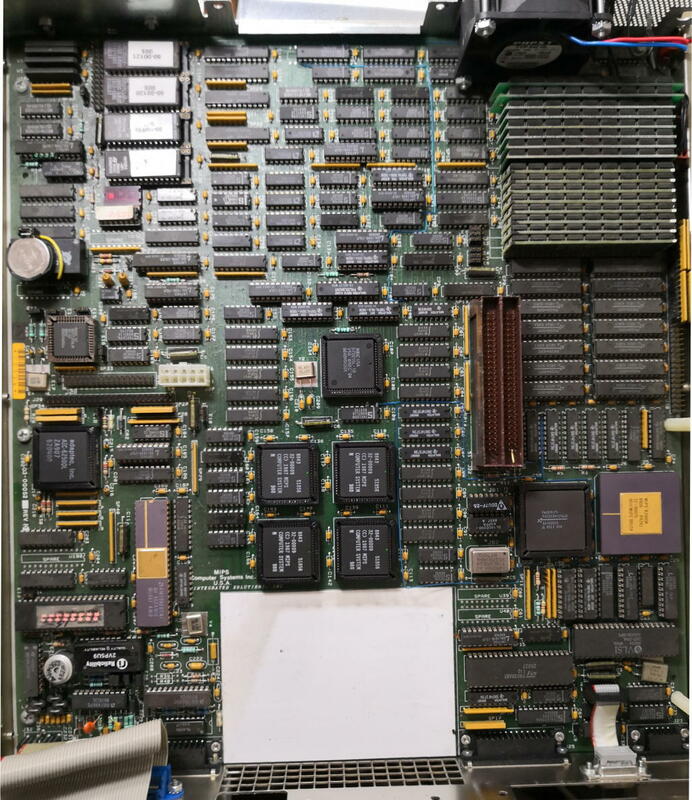 We had many broken RC2030s (early times RISC desktop with sloooooow R2000, codenamed “Jupiter”) and many broken RC3230s. We stock them unwillingly and dumped eventually with disappointments. Does this make me turning away from this poor little, mediocre thing. Not a bit! It’s an important piece of IT history – and because this is GeekDot, I will make it work for its money. So follow me to the next chapter: RC2030 – The resurrection.